Alzheimer’s disease is a condition affecting up to 4.5 million Americans. While there is no known cure, studies have been conducted that indicate there may be ways of preventing the onset of Alzheimer’s disease. The disease is characterized by symptoms such as forgetfulness, memory loss, and reduced ability to concentrate, and in later stages the sufferer may display anxiety and delusions, loss of speech and inability to sit up or walk. It is a slow disease with symptoms manifesting and worsening over the period of many years. The now famous, groundbreaking “nun study” went a long way toward identifying characteristics that would indicate the likelihood of Alzheimer’s onset later in life. 100 nuns have been studied over a period of fifteen years, beginning in 1991. Over the course of those years, their genes have been tested and analyzed, physical balance and strength charted, and cognitive tests run to determine how many words the women could remember several minutes after reading them, how many animals they could name in a minute, and if they could correctly count coins. The research shows that people who scored lower on cognitive ability tests when young were more likely to develop Alzheimer’s later in life. Early cognitive ability was measured based on writings done by the nuns while in their early 20’s. Those showing more “idea density” – the number of ideas expressed in the fewest number of words – and better linguistic and grammar skills had a much lower incidence of Alzheimer’s later in life. Scientists are of the opinion that good cognitive skills early on creates a sort of “neurocognitive reserve” which will be drawn on later, effectively preventing Alzheimer’s. Exercising and improving cognitive skills via writing, reading and learning – anything that stimulates the brain – may go a long way toward active, clearheaded and graceful aging. There are a number of other things, as well, that you can do to help prevent the onset of Alzheimer’s. Many of these prevention techniques involve limbering the mind and working on memory skills long before Alzheimer’s onset is a danger. Just having a mentally stimulating job that involves creative thinking or manipulation of data is shown to have a connection to lower incidence of Alzheimer’s later in life. Doing crossword puzzles and playing card games were found to have a significant positive impact on later mental dexterity. Employ memorization techniques used by actors. Actors don’t merely memorize a series of words. They also combine appropriate movements, and evaluate the intent behind the words to be delivered. This “active-experiencing” method of memorization was shown to also improve the memory and cognitive skills in older people who were taught the technique. Limbering your mind now may promote a limber mind in your latter years. Proper diet and exercise promote good health in general and may ward off countless problems including Alzheimer’s onset. The addition of fish oils, Vitamin E, and Vitamin C to the diet have all shown to contribute to a lower incidence of Alzheimer’s. Vitamin E's and Vitamin C's applications in cancer treatments. Keeping cholesterol at a healthy level prevents build-up of amyloid plaques in the brain – a characteristic in Alzheimer’s. Finally, physical activity has been shown to prevent deposits in the brain that are associated with Alzheimer’s disease. Exercise your mind and body, and make good lifestyle choices, as the only “cure” for Alzheimer’s as yet, is prevention. While there is believed to be a genetic component which would predispose someone to the risk of Alzheimer’s, awareness, early planning and mental exercise, and smart dietary choices may aid to reduce your likelihood of developing this mysterious and debilitating disease. A healthy mind and a healthy body now will make for a healthy mind and body later. 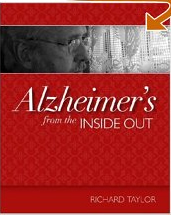 Gray Rollins is a featured writer for For Alzheimers. Learn something new every day. Pick up a new hobby or learn how to really work your digital camera. Play mind games. Solve a crossword puzzle or brush up on your bridge or chess game. Do the math - the old-fashioned way. Balance your checkbook or figure your waiter’s tip without using a calculator. Challenge your spatial thinking. Take a different route when driving home from work or the supermarket.